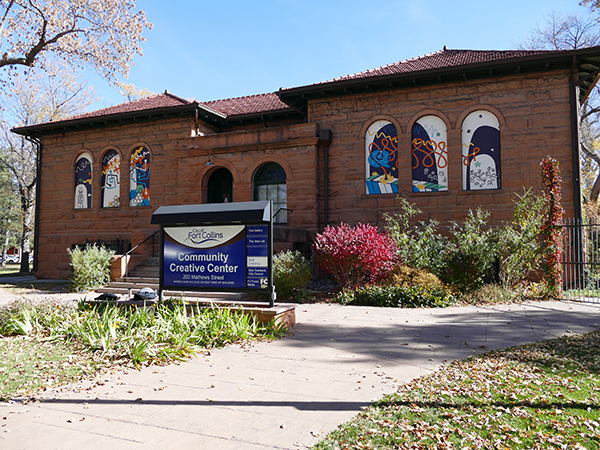 The Carnegie Center for Creativity (Carnegie) at the Historic Carnegie Building is owned and operated by the City of Fort Collins. 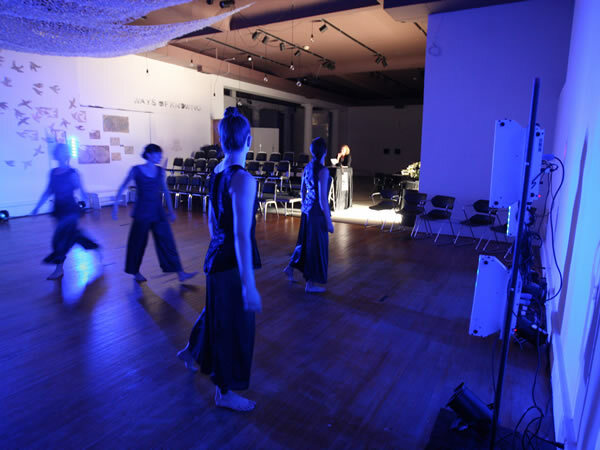 The Carnegie is home to public gallery, classroom, and meeting spaces that are available to rent for exhibition, performance, teaching and event purposes. 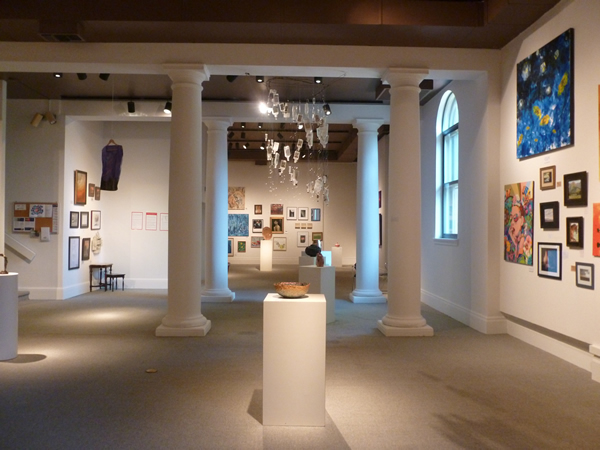 The Carnegie is intended to be used by artists from various disciplines, employing a wide range of artistic expressions. 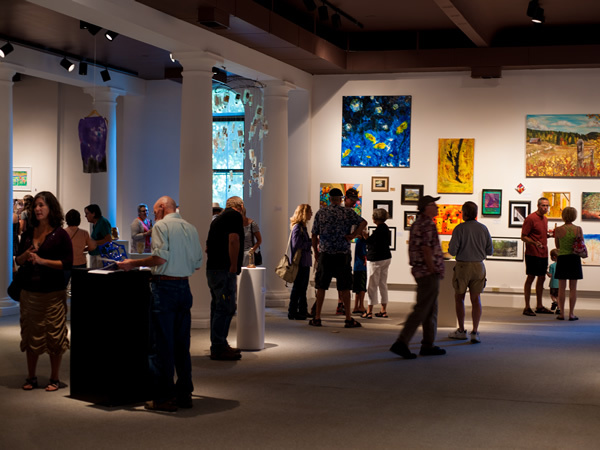 The Carnegie is also home to the Downtown Fort Collins Creative District and Fort Collins Public Media. 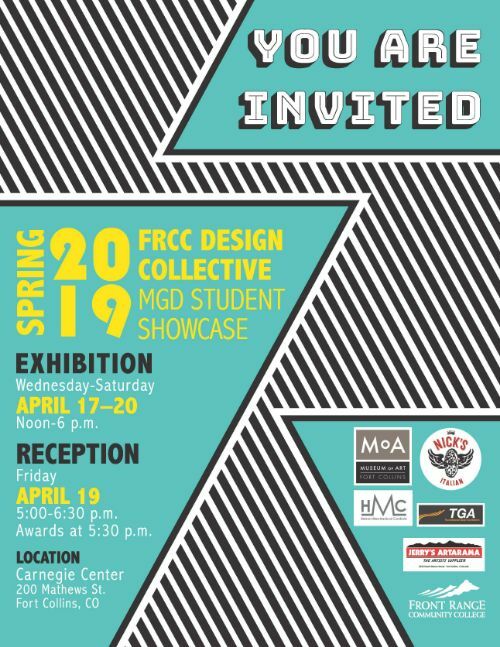 Front Range Community College presents out 1st annual multimedia graphic design exhibition. We are proud to show phenomenal work created by our students from the Larimer campus. The exhibit boasts over 50 pieces from our best design students. We welcome friends, family, colleagues and the public to a reception on Friday, April 19, from 5:00-6:30 pm. We will have refreshments and will present awards from our generous community donors at 5:30 pm. Introducing a Solo Breakthrough Artist. Scott Lee is an artist in multiple medium styles. His personal favorite is black and white charcoal illustration in realism. He is also a fine arts photographer. 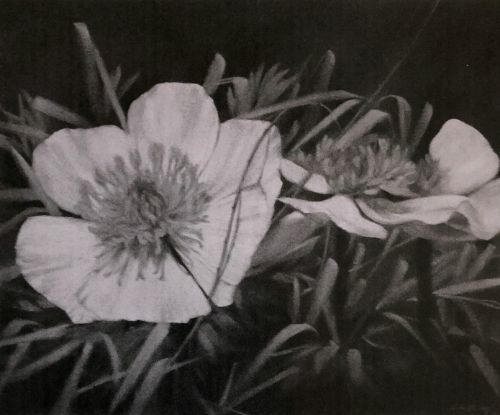 In this Solo Exhibit, you will be able to view the original charcoal illustrations. According to Scott, each illustration is created with time consuming passion, going through many pencils; sometimes sharpened to the stub just to put the finishing detail on paper. You will also be able to enjoy a variety of Scott’s Fine Art Photography. 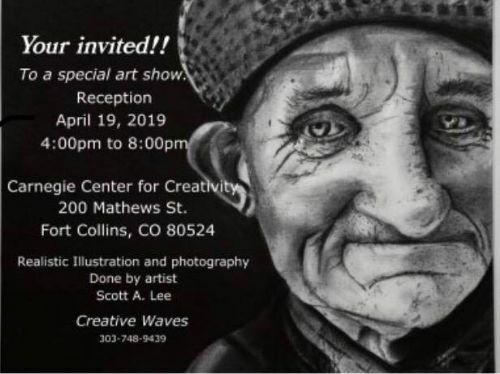 The public is invited to an Artist Reception to be held on Friday, April 19th, from 4-8 pm. Christie's beautiful work is a mixture of subject matter in a traditional style, leaning towards impressionism. 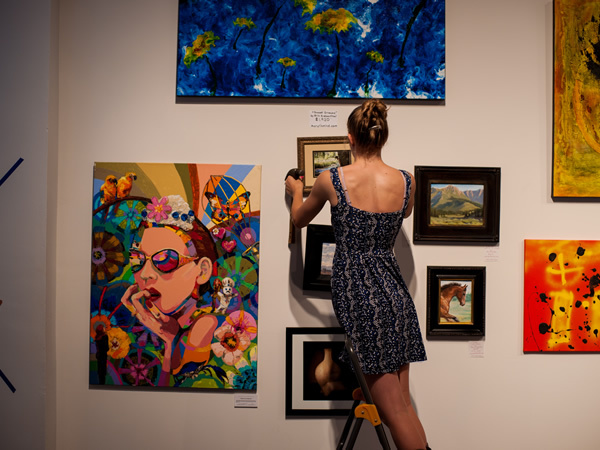 The show will include nearly 30 wildlife, landscape, horse, and floral pieces in varying dimensions. On Saturday, April 27, there will be a reception that is open to the public from 3:00-5:00 pm. 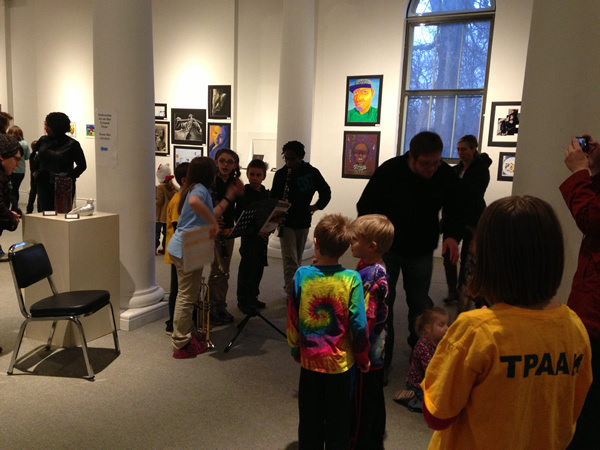 Gallery hours are Wednesdays-Saturdays, 12-6pm, and during First Friday Gallery Walk, 6-9pm, as noted on the calendar. Admission is free.